As much as I talk about keeping certain areas of the kitchen neutral, I could just as easily remind all of our customers the visual impact of artful display in the kitchen. Nothing could be more boring than a kitchen that just says “kitchen”. The kitchen is the workhorse of the home and it needs to have personality injected into the space. Your beautiful Stone Creek cabinetry can be set off with a timeless backsplash that will showcase the antique scale you found covered in dust at an auction last summer. Now cleaned up and piled with fresh fruit it brings history and interest to the space not to mention a great conversation piece. Those glass fronted doors on you upper cabinets can tell a story of Grandma’s depression glass and how in her time, you got a piece each time you bought detergent. Kind of like the CrackerJack surprise you get today, but in dish form. There’s alot to be said for a playful personality. Mine has an old crock next to the cooktop that holds my soup ladles and wooden spoons. I even have an old wooden stirrup from a saddle that I use to hold napkins. That’s the one no one understands! It’s my kitchen and I want it to look like me. I love things with a history and even better, a story. Like the produce signs I bought right out of the dirt at a country fruit and vegatable stand a few summers back. The farmer thought I was nuts. Told me to come back in two days because he needed to have his Amish wife paint more signs if I was going to buy his old ones. This farmer wanted to clean them up for me. Are you kidding! I wanted the mud that was splattered on them to stay put. Just the visual of those horses and buggies traveling that country road everyday made those signs even more special. He must have seen tourist written on my forehead because he charged me an arm and a leg for them but to this day they are one of my prized possessions . They hang in my pantry and not a day goes by that they don’t make me smile. Now, I’m not saying that your kitchen has to look like mine. It wouldn’t be your personality. But a nest of colorful bowls or that huge vase of forsynthia branches on the island can say alot about you. 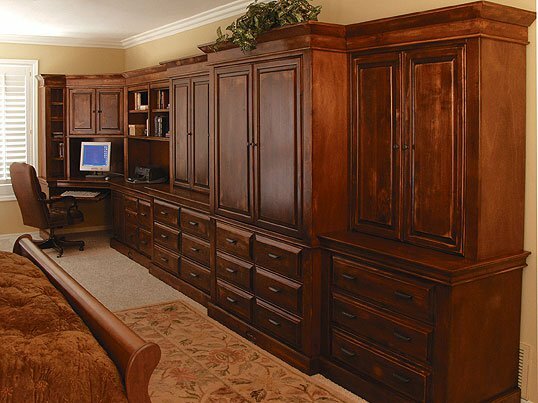 Our furniture and cabinets speak for themselves. Let artful kitchen display be a big part of what your kitchen says about you. I would love to help bring life and personality to your kitchen. Fill out the form to the right and we’ll get started. This week has been a tangle of streets and interstates as I went to the far corners of Phoenix to visit with Stone Creek kitchen clients. 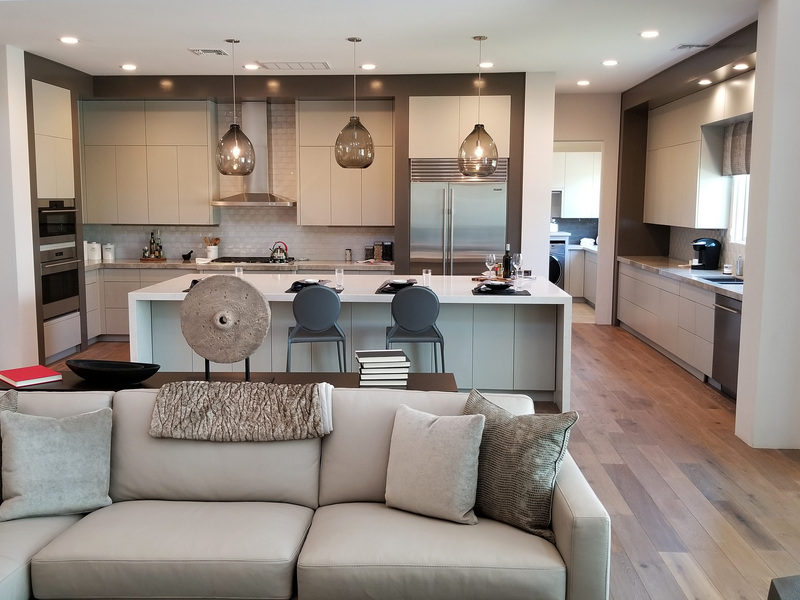 From Ahwatukee to Carefree, I keep hearing the question…..What are the “must haves” in kitchen design today? So I’ve come up with my top five. I could actually do more but these rank right up there with all my other lists of top fives. Like the top five appetizers to make for guests or better yet, my top five restaurants in town. I could add the top five things I am waiting for my husband to do around the house, but if truth be told that list is much longer. Enough about him. 1. Timeless cabinet style. Stick with the classics. Understated design will stand the test of time. Not only will you not tire of it but if you sell your home down the road the new homeowner will thank you. Adding glass fronts allows you to showcase your china and the contents can be changed on a whim. 2. Islands with seating. Today families entertain in the kitchen. Friends want to be part of the action while you are putting the finishing touches on your special bruschetta. Kids can do homework or crafts here. You can keep an eye on teens when they are on facebook and casual Saturday lunches will always take place here. Not to mention the additional counter space when setting out a buffet or just that expanse of granite to admire. You might even choose a different stain for your island. 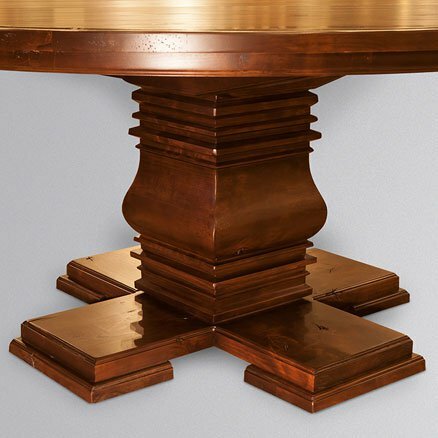 It will truly make your space feel custom. 3. Energy efficient appliances. I don’t need to elaborate on what a huge benefit this is. Just look at the Energy Star ratings when you visit an appliance store. Your salesman will be able to point out all the benefits. You can also go to energystar.gov for rebate opportunities. 4. Organized storage. This can run the gamut of recycling bins to spice storage and the numerous small appliances we don’t want cluttering our new countertops. Everything should have a place. It makes your kitchen look larger and makes food prep that much easier. 5. Stone Countertops. The queen of countertops is still granite. Engineered quartz is gaining steam but granite will be the front runner for a long time. The best part is going with a client to select their slabs. They are always amazed at the process. Just wearing the hard hat makes them feel special. I’m sure your list may differ from mine but give me the opportunity to share a few more and I’ll listen to yours. We’ll create the kitchen of your dreams and have all the bells and whistles you can handle. Fill out the form to the right to get started. I find inspiration in lots of unusual places. It could be a rusted gate that I think would be a great piece of art above the mantel or a colorful matchbook cover in a favorite restaurant. Sometimes you really have to look for inspiration and other times it just falls in your lap. This past weekend it just fell in my lap. My husband and I decided to get away for a few days to celebrate our 18th wedding anniversary. He didn’t tell me until just a few days before we were leaving that our destination was wine country in California. I was mentally packing my suitcase with a cozy wrap for the cool evenings and wine country casual for the daytime when he told me that our accomodations would be an old lodge with fireplaces at every turn. This man is speaking my language. I could see us renting bikes and touring wine country with baskets of wine, cheese and that crusty bread that I love. I thought the weekend would be nothing but total relaxation but everytime I turned around I saw something that would be perfect in a Stone Creek kitchen. If it wasn’t the warm patina on an old piece of wood it was a textured stone that could become great backsplash. Even listening to our tour guide at the Grgich Estate and winery made me think of decorating. She was talking of how lunar cycles effect grape growing…My thoughts turned to the cycles of decorating. She continued to point out how the planting, pruning, and harvesting of the grape was essential to a great bottle of wine. In my mind I’m thinking…the design, construction, perfect layout and the process of choosing the right materials can give you a Stone Creek kitchen to drink her wine in!!! You might say that decorating takes over my life. I just think that inspiration can come in many shapes and forms . Being surrounded by 200 wineries in the span of 4 days can truly relax you. Let me help to bring some relaxation to your kitchen. Just fill out the form to the right and we’ll put some wine country inspiration in your kitchen. Is it just me or is grey taking center stage? Everywhere I look grey has taken the place of taupe. A recent Nordstrom catalog featured a ton of grey fashions and in one of the 12 decorating magazines that I subscribe to (yes 12) shows everything from a soft grey paint on the walls to a fabulous grey kitchen that just screams vintage french country. Teamed up with a zinc planter to hold the spatulas and ladles it was the epitome of a relaxed, been around awhile kind of feel. Now I know what you are thinking…dull, boring, not all that exciting but if you team it with any accent of yellow, turquise, apple green, red or even black it comes alive and has a very natural feel. Ultimately, I think grey is one of the easiest color schemes to work with. It can go Traditional to Contemporary depending what you accessorize it with. We loved this color so much we’ve added it to our line. If you want a little something unexpected but very livable in your home, fill out the form to the right and let me help put some wonderful grey in your life. I promise it won’t be dull. If my husband tells me one more time he wants to take me to Italy I’m going to be sick. First the kids were too little to be left with a sitter for that long. When they were in elementary school he thought they would miss us too much. Now that they are teenagers….I don’t need to expand on that one. Well for now he’s off the hook because I had the opportunity to work with a client on a kitchen that had so much Italian flair that I thought I was in the country itself. All I needed was a Vespa and loaves of Italian bread spilling from the basket to truly take me there. I can almost feel the breeze in my hair. If it wasn’t the warm aged kitchen cabinets and amazing granite countertops it was the arched windows above the farmhouse sink and don’t get me started on those aged beams. You could almost imagine yourself surrounded with family and friends cooking in there all day and making an event of it. So for now my husband is off the hook. But in a few years the kids will be in college and guess who’s going to Italy!! If you would like to bring the Italian countryside to your kitchen just fill out the form to the right and let me help bring the flavors and smells of Italy to you. I just finished working on story boards for all the showrooms …kind of an “IDEA” board if you will. Pulling together a cabinet finish, countertop material, backsplash, fabric etc. You get the point. The one that seems to keep coming up in conversation with customers is the Transitional Style. For the couple that likes traditional , but wants a modern feel, this style delivers. As you can see in the photo ,the cabinet finish (131A) is warm and inviting and teams nicely with the golden crystal granite countertop. The backsplash is an understated 6×6 (PLTiburtino Chiaro) accented with a simple button accent piece. The fabric for counter stools has warm colors but a contemporary feel. 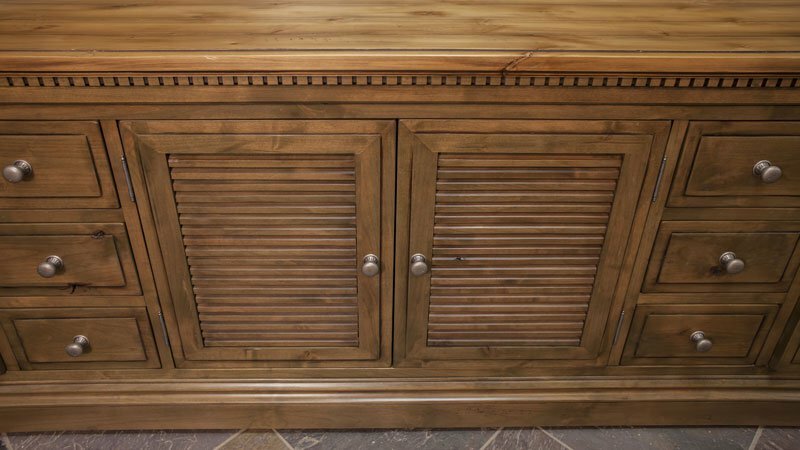 I can see an oil rubbed bronze faucet, and complimentary knobs and pulls on the cabinets. Here’s a style that has longevity, appeals to the masses and whether you are staying in your home for years to come or selling in 6 months will have the style equivalent of a classic dress with a fabulous necklace. If this style appeals to you, just fill out the form at right and we’ll get started. It only takes a few days out of the office to see things a little clearer and brighter. A short visit to Mexico, a few poolside drinks with funny umbrellas and I’m off and running. The greens, blues, yellows and the light that glistens off the water just makes you happy. Makes me think I could actually live without taupe! Not really but you know what I mean. All that color overload and then back to the office. First project of the day is choosing a backsplash for a new kitchen that has Viking appliances in a custom color called Iridescent Blue. Now that’s the way I like to come back from vacation. Inject what I saw in another place and make it work right here in Phoenix. If you need some color in your world, fill out the form to the right and let’s get started. There are many great things I like about decorating, but one of the best is when a client calls you after the project is completed and insists you stop by to see how wonderful it turned out. Mind you, I did not design the kitchen for them, we have showroom experts for that. In a nutshell, my participation was a creative backsplash, granite slab selection, wall color and some fabric for chairs. The excitement in their voice comes through the phone and I can’t wait to get in my car and drive the 26 miles to their house to share a special warm fuzzy with them. If you are thinking about a new Stone Creek kitchen for your home, my 2 hour design service is available to you at no charge. Contact one of our showrooms to get started. Our latest client from the Chandler Showroom wanted modern with an Asian feel, I knew I had to come up with something unique but not too design specific for resale. By installing stacked glass tiles on the vertical we got the feel of bamboo…the same that was in her courtyard garden when I entered the house. The dark, modern cabinetry with clean lines and the light composite countertop material have enough contrast to keep it interesting, but still neutral. Now the possibilities are endless for injecting pops of color through accessories in the kitchen and adjoining family room. For more information, please fill out the contact form to the right.